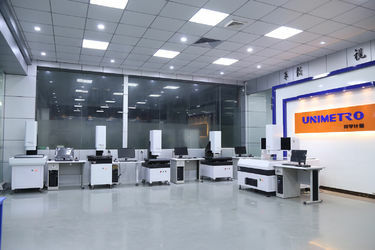 Established in 2007, Unimetro started from manufacturing the vision measurement machine. For years' of experience we have been to the front line of the China metrology industry and integrated all the best resource in the industry. Until today we have built and sold thousands of vision measurement machine and 3D coordinates machines in China, and have the best supply chain to ensure all our products reach the possible best quality for our customers. And we haven stopped our pace and innovation, when we created a complete product line for metrology we started the oversea sales in 2012. With varies of cooperation with the world wide factories and metrology experts we have improved the products to an international standard. Unimetro makes universal metrology, we offer universal metrology solution in world wide range. We do not build the best metrology in the world, but we commit to build the metrology with the best price performance. 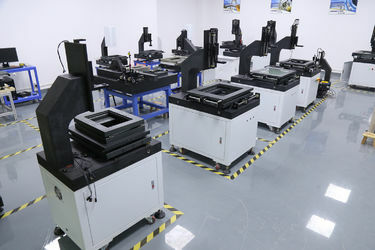 We offer the best metrology solution and OEM service for our customers, also technical and commercial support. Cooperating with Unimetro is the best entrance for more experience of the high ranking Chinese metrology products. Remote online supporting, on site installation, technical training, metrology consulting service are all available from Unimetro. We have professional exporting, before sales and after sales department for our cooperators, offers the most professional products and service for our customers. For more information or support please contact our representatives or exporting department. We have production, R&D, before and after sales service, exporting and consulting department, ensures our customers have the best experience of cooperation. Unimetro also have 2 branches in Hongkong, to offer more convenient purchasing channel for buyers. Customers only have to send order, pay or L/C directly to our Hongkong Branch account, and we will arrange the exporting to customers site. Avoiding the strict and complicated foreign exchange process of China. Customers or dealers are more easy to get the ideal products in much shorter time. Much more flexible for dealers to manage the sales plan and stock.